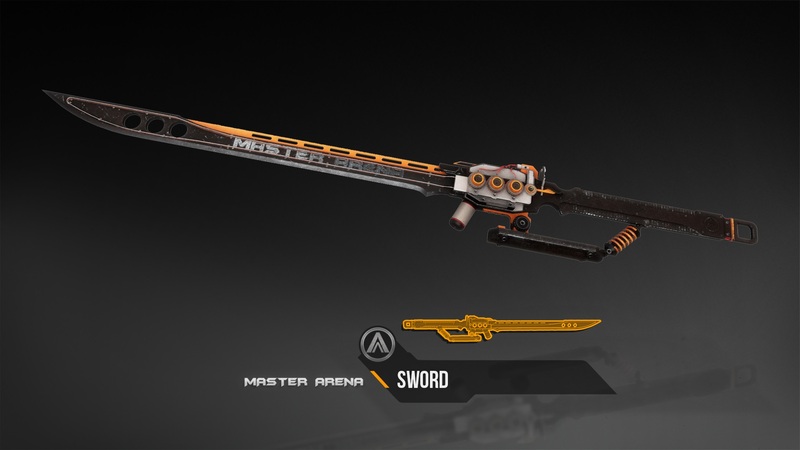 This week, you will find the last weapon present in the game. We are talking about the ELECTROGUN. 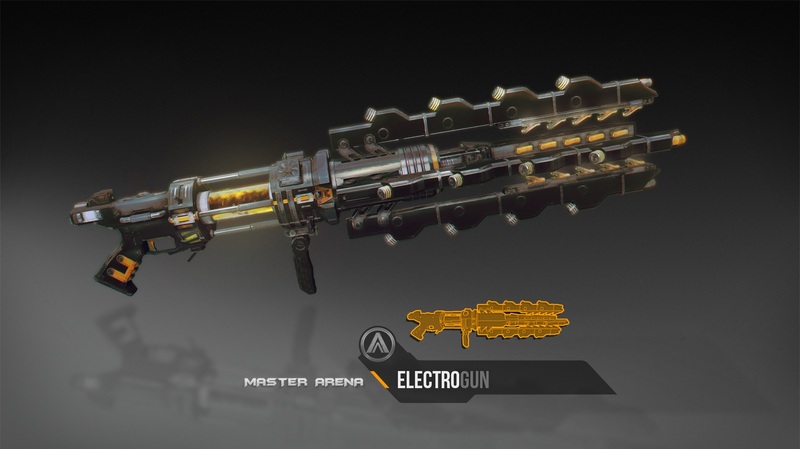 The Electrogun is in the technological line of the PLASMA. It creates an energy ray with a long-range electrifying constant flow. The damages caused by the ray are low when your opponent is subjected to it only a short time. It’s in the ray’s exposition time that this weapon is formidable. 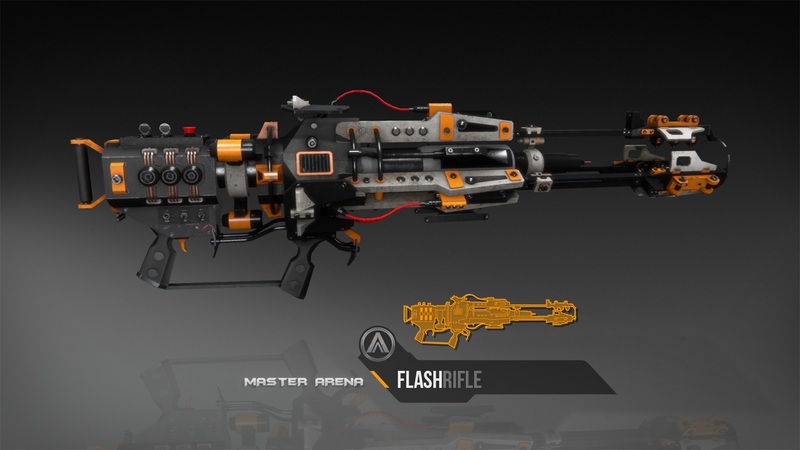 This week, we introduce you the FLASHRIFLE *! The FLASHRIFLE is an alternative to the SNIPER. It makes up for where the sniper is not sufficient. 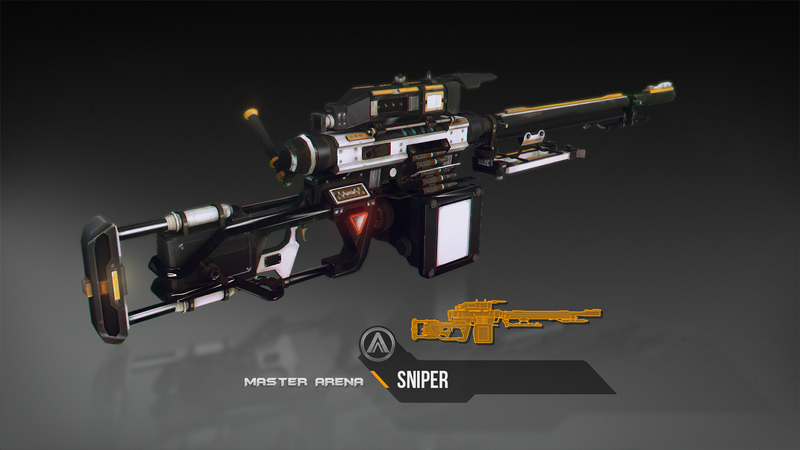 Disregarding the mechanical stresses imposed by the sniper’s technology, the flashrifle is able to have a higher fire rate. 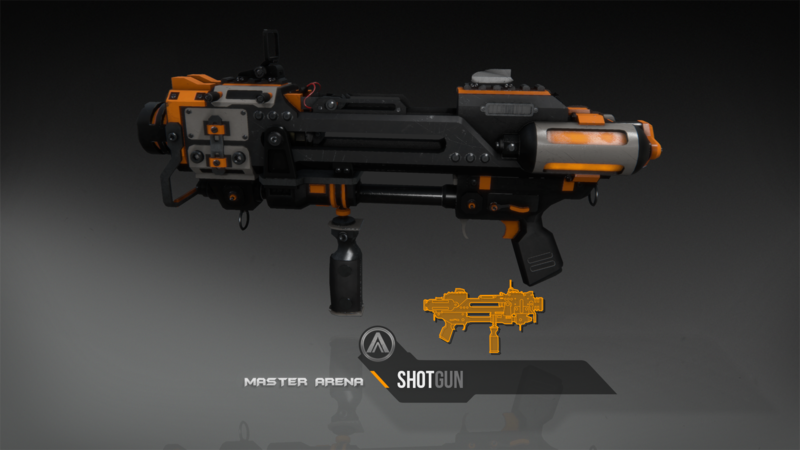 This weapon is the fastest precision weapon in Master Arena. See you next week for a new weapon presentation! * This weapon will be remastered. 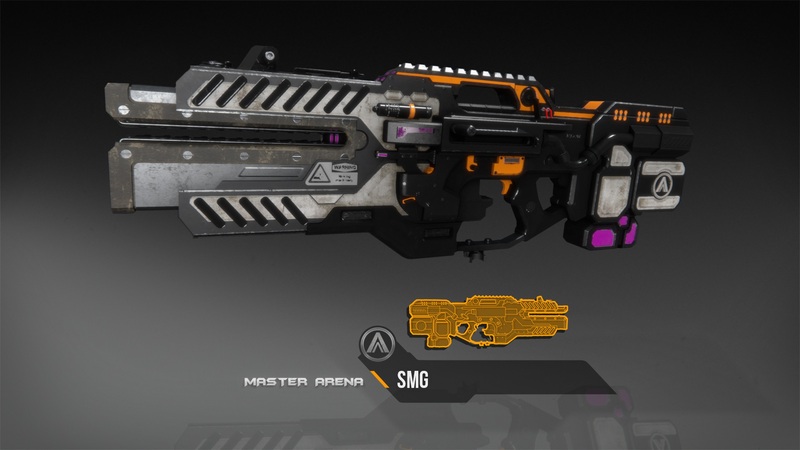 This week, we are pleased to show you the SMG. 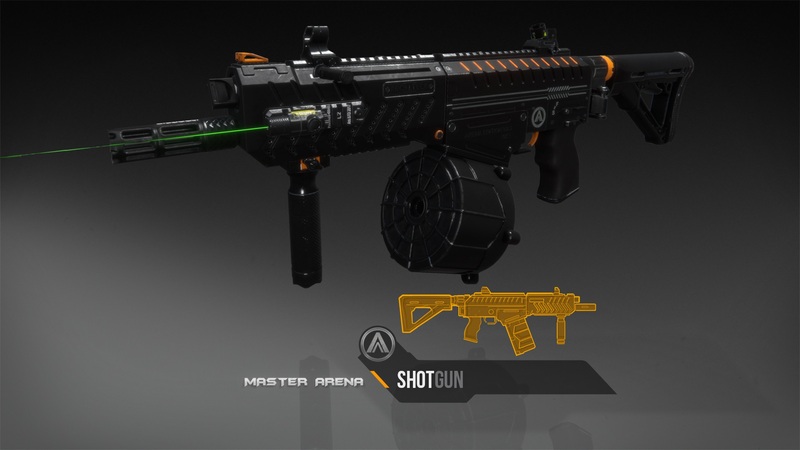 Engineers specifically designed it for arena fights, thereby having a perfect balance between the fire rate, damages and bullets dispersion. The SMG is a short to medium range weapon. We are going to start this new year by continuing the series on weapons. This week, please welcome the ROCKET LAUNCHER *. 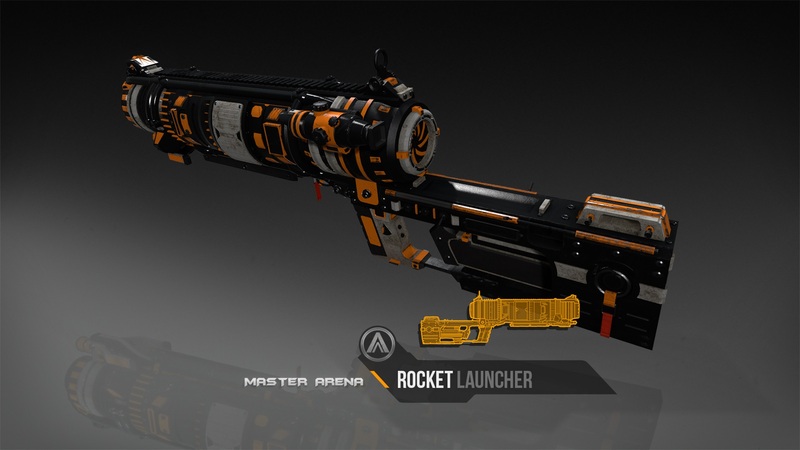 Nobody will ever say otherwise, no Arena FPS without a rocket launcher! This weapon is the most powerful projectile weapon in Master Arena. See you next week for another weapon. 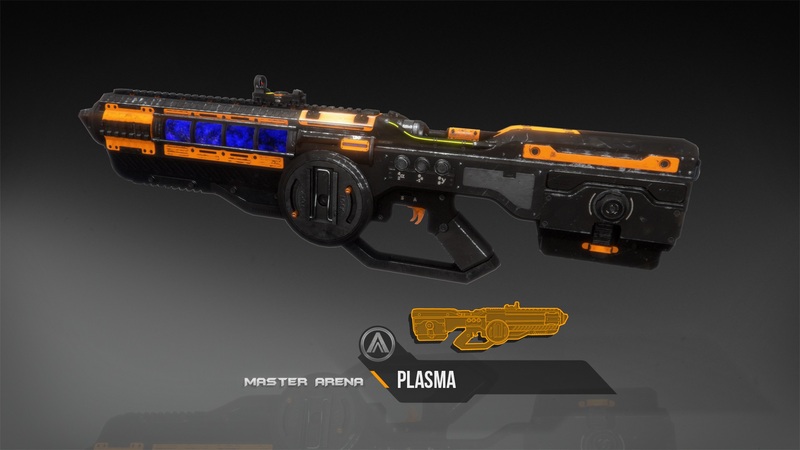 This week, the weapon we introduce is the PLASMA! It is a high-tech weapon. It launches plasma balls moving at a frantic speed with a high fire rate. The plasma is formidable both in attack strategy and in defense. Happy holiday to all and see you next year (early January) for a new weapon presentation ! As promised, a new weapon this week. Welcome to the SHOTGUN *. The shotgun is a short to medium range weapon. A unique shell causes 5 HP of base damage, multiply this by 8, add its high fire rate and you have a formidable weapon ! Do not hesitate to post a review, and to share this news on the social media of your choice. It is time to show you a new weapon. This week, we welcome the SWORD! Playing with the sword will require a good feeling, but once acquired, it’s a formidable weapon for close combat situations. See you next week for another weapon ! Arena Fans, a new weapon presentation for you! 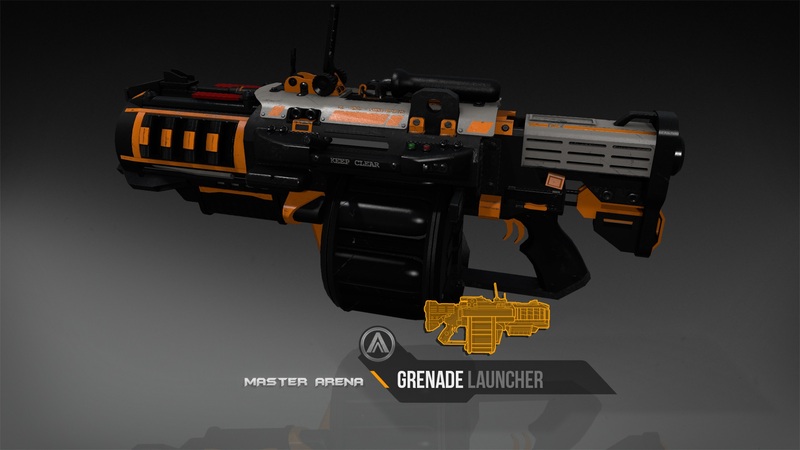 This week, we are pleased to show you the GRENADE LAUNCHER *. We know it, grenade launchers have their place in a FPS Arena. -Secondary fire : launching of a red grenade exploding on the first impact. This latter uses 2 ammo/shot. As promised, a new weapon this week. Welcome to the SNIPER *. The sniper is the most powerful weapon in the « Normal Weapon » mode. This one is extremely efficient for headshots !